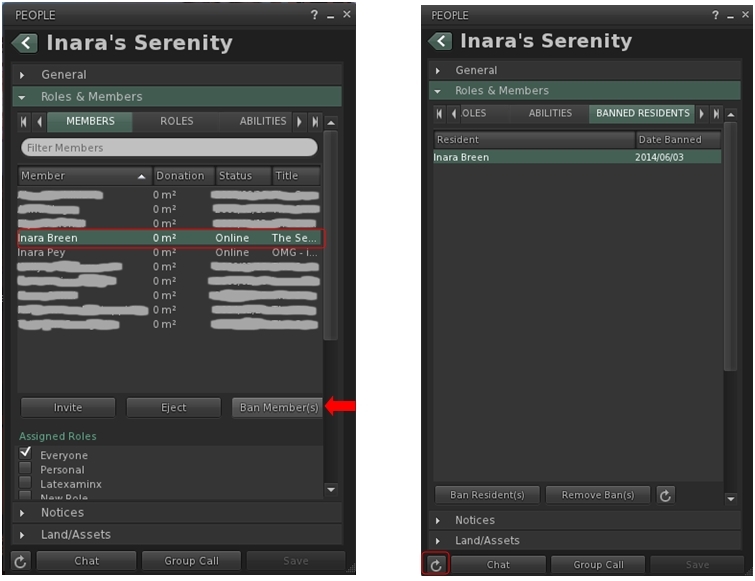 On Tuesday June 17th, Linden Lab released the Group Ban project viewer (version 3.7.8.290887) which, as the name suggests, allows group owners (and those they nominate by role) to ban individuals from their group. Group bans, which are enforced server-side, like parcel and estate bans, are intended to remove troublemakers from a group / prevent them from joining the group. This article will hopefully provide an overview of the group ban tools within the project viewer (and which will eventually progress to the release viewer). 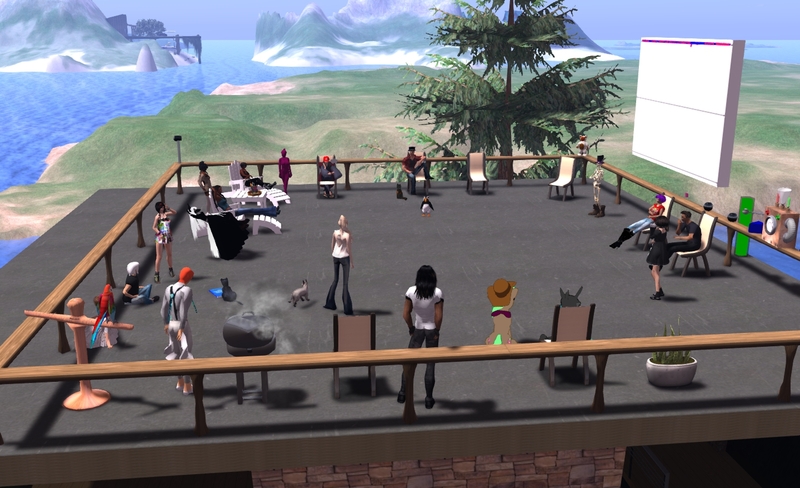 Any attempt to invite one or more banned avatars into a group, whether individually or as a part of a list, will generate the message: Some residents have not been sent an invite due to being banned from the group. Add the ability to ban avatars from a group to any other roles within the group, if required. By using the Group Ban Picker to ban one or more avatars from a group, whether or not they are already members. The highlighted avatars will be ejected and banned from the group, and you should see the normal confirmatory notification(s) that they have been ejected. As usual, please refer to the server deployment thread for the latest information. On Tuesday June 17th, the Main channel was updated with the Group Ban project, which was previously on the LeTigre RC. As the name implies, this project adds the ability to ban users from groups (see also SL Viewer Updates, below) – release notes. Magnum should remain on the Experience Tools project. In addition, Magnum should will receive the Main channel update with the Group Ban project and the anti-griefing update deployed to LeTigre – release notes. On Monday June 16th, the MemShine release candidate viewer, (version 3.7.9.290582, was promoted to the de facto release viewer. This viewer includes the final Sunshine AIS v3 updates (promoting the Lab to issue a blog post announcing the long-running project Shining is now complete), and also a series of memory leak fixes to help stabilise the viewer and hopefully reduce the number of memory related crashes. As noted above server-side support for the Group Ban project is being deployed to the main grid. To coincide with this, the Lab issued the Group Ban project viewer (version 3.7.8.290887) on Tuesday June 17th, which provides the necessary viewer-side support for accessing group ban functions. Initial instructions for using the viewer can be found in the release notes, and I’ve provided an overview as well. BUG-772 “Simulator refusing to rez objects after 10 hour timeframe” was raised at the Simulator User Group meeting on Tuesday June 17th. This is an issue where if you are carrying out terraforming work on a region with pathfinding enabled, and are also making frequent Pathfinding navmesh updates, your region will rapidly run out of memory. the way to avoid this is to complete the terraforming activity, then rebake the navmesh and restart the region. Ideas were tossed around the Simulator User Group meeting on the limitations of LSL, many of which may only be resolved through a complete re-build of LSL, something which is unlikely to happen, as Simon Linden indicated in the meeting, “I don’t think we’re going to touch the internal design of LSL if we can help it.” Which doesn’t mean there will not continue to be enhancements to LSL functions etc.